U.S. stock market indices climbed higher in the 2nd quarter with the S&P 500 rising 3.4%. U.S. markets advanced despite President Trump initiating $34 billion of tariffs on Chinese goods, stoking fears of a trade war. While U.S. stocks advanced, the Chinese Shanghai Stock Exchange Index fell 10.2%. Are trade wars cause for concern? Why has the U.S. stock market remained so strong? In the short term, escalating trade concerns will likely drive volatility higher. President Trump’s economic team believes the U.S. has been “losing” on trade and that China’s policies on stock ownership, Intellectual property, and tariffs are destroying the manufacturing backbone of the U.S. While President Trump’s tactics can be unnerving and headline grabbing, the scope of these disputes are quite small relative to the global economy. The U.S. is charged a weighted average tariff of 6% by our four largest trading partners versus U.S. tariffs of just 3.5%. This difference equates to less than 1/1000 of the U.S. economy. Over the long term, the trade disputes will resolve either through a few more protectionist measures or through a reduction in barriers by our trading partners which would increase global trade and standard of living for all countries. The good news is most of our investments are currently invested in small U.S. companies with little exposure to international trade. Such companies should outperform in the short run, but multinationals could present opportunity. As an example, Harley Davidson (HOG) recently got nailed with a triple whammy as steel tariffs drove their costs up, then the EU retaliated with 15% tariffs on motorcycles, and lastly Trump publicly lambasted Harley for announcing plans to shift some of its U.S. production overseas to avoid tariffs. Harley stock has fallen 28% and trades at 12x last year’s earnings. Companies like Harley which have declined due to fears surrounding trade wars could present buying opportunities; however, we have not made any such purchases yet. One investment we did recently make is Stitch Fix (SFIX). Stich Fix has created a better way to shop for clothes for people who don’t have time or don’t like shopping. First, customers fill out a personal profile online. Stitch Fix then assigns a personal stylist based on those preferences who mails the customer a box of five personalized clothing items. The customer keeps or returns any or all items and provides detailed feedback. SFIX stylists use this data to evolve offerings which increases keep rates and customer satisfaction. With online apparel sales still representing less than 20% of the total, Stitch Fix should continue to benefit from the large secular shift to shopping for clothes online. Founder & CEO Katrina Lake owns 17% of the company, valuing her stake at $400 million. She is now one of the wealthiest self-made women in the world. She has built a 6,000-person workforce of mostly women to reflect their customer base, creating a unique corporate culture. SFIX does over $1 billion in sales annually and is profitable today, but their true earnings power is masked by their large investments in data science, new categories, and marketing. Given SFIX’s superior business model, scale, and international expansion, we estimate 1) sales growing 20% compounded thru 2021, 2) after-tax margins reaching 8%, consistent with apparel industry leaders like TJ Maxx & Ross Stores and 3) the stock maintaining a premium earnings multiple which reflects its leadership (30x EPS). In such a scenario, SFIX shares would be worth roughly $50 per share in three years, a potential 22% compounded annualized return from current levels. I have personally been a satisfied Stitch Fix customer and encourage you to give it a try. In the rest of this letter, we thought we would share some of our answers to the most common questions we receive from current and potential investors. These include questions on succession planning, cash policy, large-cap stocks, selecting a benchmark, and our capacity given our focus on small and microcap value investments. We hope you find it helpful and if you have any additional questions, please don’t hesitate to ask. Question 1: Succession. How much longer do David Eidelman & John Virant plan on working? What is the firm’s succession plan? David and John have been tremendously successful and are now in their 70s. Following in their footsteps is no small feat. Fortunately, the investment world is not major league baseball, where players peak at 27 and the oldest active player is 44. On the contrary, investment skill compounds like money and David and John are industry giants at the top of their games. Both have been energized by working with their sons. David still works a full day at the office every day and John is more on top of minute-by-minute stock movements than anyone in the company. On a playful note, David is still playing men’s senior hardball and batting .400. John Virant just returned from taking his wife on a motorcycle trip across the pacific northwest. If they don’t get hurt on the playground, we think the best is yet to come for the both of them. What about the next generation? I joined the company fifteen years ago to help take our company to the next level. My partner, John Virant Jr. has been here eight years and now acts as key member of the investment team. I’m proud of our results. Our firm assets have grown from $70m to $350m. Our client retention ratio was in the top quintile according to a Schwab Benchmarking Study and 10-year investment results for the Value Select composite ending 3/31/18 ranked in the top 10% of our peers, earning us a five-star overall Morningstar rating. I think we can keep it up. Our investment team has developed an elite understanding of corporate culture that has allowed us to quantify and incorporate fabulously run companies into our investment approach. Our increased firm size and expertise has allowed us to expand relationships with Wall Street firms and gain access to more one-on-one management meetings. We now utilize new tools which make us more productive and give us access to industry leading research. Our compliance program has undergone multiple successful mock audits and our investment results are in the process of getting an updated GIPS verification by a leading compliance firm. Such a process has required our back-office operations to consolidate our CRM, research, and portfolio management systems. Our team is as motivated and well-equipped as ever for future success. Question 2: Cash. Why do I have X% cash in my account? Shouldn’t we be fully invested? Conversely, valuations appear high, shouldn’t we have extra cash in the account to be on the safe side? What is your policy on cash? Our general policy is to stay fully invested for our clients. Due to the nature by which we need to opportunistically buy and sell investments, we define fully invested as having less than 5% of the account in cash. Cash may temporarily exceed these levels if we just sold some investments and haven’t yet found the right ideas to fill out the portfolio. From time to time, clients request extra cash for risk mitigation purposes, but most often end up reinvesting that cash soon in the future. Question 3: Individual Specialization. What industries do you tend to overweight? Do each of you specialize in different industries? Most of us are generalists in that we all evaluate and debate investments from all sectors. However, we also each have areas of expertise in sector and factors. For instance, David Eidelman is a generalist, but has expertise in banks, healthcare, distressed securities, and corporate incentives. John Virant Sr. is a generalist with expertise in industrials, oil & gas, and activist situations. Stan Finger focuses on low-priced community banks with favorable income demographics. Ben Weiss focuses on media, entertainment, as well as owner-operated, industry-disrupting businesses. John Virant Jr. is a generalist with a focus on entertainment and consumer branding. Lastly, I am a generalist with an expertise in banks, commodities, technology, and identifying outstanding corporate cultures. Question 4: Benchmark. What is your benchmark? To what index or return target should we compare your returns to know if you are doing a good job? The Russell 2000 Value Index is the most relevant index with which to compare our returns. Our philosophy and holdings align with its contents of small cap, low price-to-book ratio securities. When we ran a correlation of our returns with all the various indices, we were not surprised to find that we had the highest correlation to the Russell 2000 Value Index. Due to our expected historical and expected weighting to small and value-oriented investments, we think the Russell 2000 Value will continue to be the best benchmark going forward. Having said that, our opportunistic, bottom-up stock picking strategy does not try to specifically manage to the benchmark by investing exclusively in its contents and we are comfortable being compared with any equity index over the long term. At the end of the day, we strive to achieve double digit investment returns while taking less risk than similar investments. Question 5: Capacity. What are your growth plans? How much money can you manage with your Value Select strategy? We think we can manage $500m in our Value Select Strategy before we look to close the fund to new investors. There is currently $180m in the strategy of our firm’s $350m. The reason for the constraint is the strategy’s significant investments in small and micro-cap stocks. For example, we currently own shares of Guaranty Federal Bancshares (GFED), a Springfield Missouri bank with a market capitalization of just $109m. Our firm’s clients currently own roughly 2.5% of the company, making our firm the fourth largest shareholder. The largest position we can legally take in a bank is 9.9%, which would be $11 million worth. If we wanted to take a 2% position for our clients, this would mean the size of the fund could only be $550m before it became too large to take our desired 2% position. This is an extreme example and the vast majority of our investments in the Value Select strategy have larger market capitalizations and trading volumes than the example above. Should we decide to grow the firm further, we would look to start a dedicated small cap value fund (excluding the smallest of the micro-cap stocks) or a fund focused on outstanding management cultures. We think both strategies could be successful and have a higher capacity. Our company owners, including myself, own all the same stocks as our clients, so growing too big and diluting our returns would be bad for both our clients and ourselves. We are dedicated to staying the right size to optimize investment results for our clients. 2017 was an extraordinary year in the financial markets. For the first time on record, the S&P 500 Index delivered a positive gain in every month of the year. 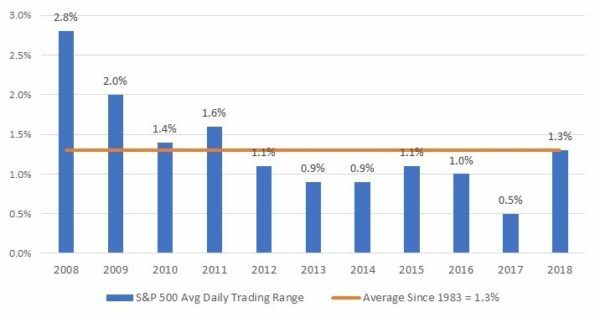 The S&P 500 and Russell 2000 indices finished the year up 22% and 13% respectively, while also experiencing the lowest level of volatility in history with the largest peak-to-trough drawdown on the S&P 500 of just 2.8%. The best performing area was large-cap technology companies while the smaller Russell 2000 Value index, consisting of many small financial and energy companies, gained just 8%. The market advance was partially due to the anticipation and ultimate passage of tax reform, which lowered the corporate tax rate from 35% to 21% and cut federal income tax bracket rates across the board. While the corporate tax cut temporary boosts after-tax profitability, we believe it may not have the full benefit most investors expect. The free market ultimately sets profitability and thus it will likely revert to historical averages as competition causes prices to fall and wages and other costs to rise. As an example, we met with a utility that immediately has to give 100% of their increased profitability back to their customers in the form of lower prices per their agreement with the regulators. While market momentum is strong, we are increasingly concerned about excessive optimism. The Investors Intelligence and American Association of Individuals Investors (AAII) polls both showed 60% of investors are bullish vs. 15% bearish readings, a measure in the top 1% of all-time optimism. During periods of such high sentiment, the S&P 500 Index has historically returned half its historical average in the following year. Speaking of investor optimism, a few clients have inquired about Bitcoin and other cryptocurrencies. Some people believe that a finite, digital, decentralized currency acting outside the traditional banking system using a blockchain database could be the future of monetary exchange. The bullish case for bitcoin is that if Bitcoin became the new global currency and attained the value of the entire $7.4 trillion gold market, with only 21m Bitcoins in circulation, each Bitcoin would be worth $350,000 compared to just $15,000 today. More likely, most cryptocurrencies will be worth zero (there are more than 1000 different cryptocurrencies). The market value of Bitcoin is $250 billion today. All the cryptocurrencies put together have a market capitalization of $725 billion. To put that into perspective that is roughly 10% of the value of all the gold in the world. Given that we at Eidelman Virant Capital focus on investing in assets with tangible asset values (real estate, machinery, cash), steady streams of cash flows, and trading on liquid global exchanges, we don’t plan to direct client assets into cryptocurrencies. We do continue to find attractive specific individual investment ideas including some content media companies. With the internet enabling viewing at any time, on any device, without costly bundles, annoying advertisements, and restrictive time slots, we see quality content companies ideally positioned. As the industry scrambles to consolidate, we see content companies like Time Warner (TWX) and Lionsgate Entertainment (LGF.B) most likely to benefit financially and ultimately be acquired. When I discuss our media-themed investments, it’s impossible not to thank and acknowledge the help from friend and fellow fund manager Ben Weiss. Ben graduated from Vanderbilt University and Washington University Law School and worked as a corporate lawyer in St. Louis and as an equity analyst at ADW capital, a deep value NY-based hedge fund. In 2014, Ben founded 8th & Jackson Partners, his own concentrated value-oriented hedge fund focusing on media companies. Ben is also a guest contributor on the media industry to Hollywood trade publications like Variety and Hollywood Reporter. As a consultant to Eidelman Virant over the past year or so, Ben’s expertise in media as well as other areas has proved invaluable to our research efforts. Our investment team is excited as we enter 2018. With nearly 50% of all investment dollars now using passive exchange-traded-funds (ETFs), we are finding less analysts covering individual stocks and more inefficiencies in the market which can increase our chances of earning superior risk adjusted returns going forward. In particular, we think qualitative factors such as management cultures that empower employees and make raving fans out of customers are not being fully appreciated by ETFs and quantitative funds. We are confident such market dynamics, in addition to our adherence to value investing principles, will continue to help clients achieve their investment goals. Twenty years ago while living in France on a foreign exchange program, I remember turning on the TV and being surprised by how many TV stations were filled with American shows either dubbed over or with French subtitles. I later found out the movie theatres were filled with the latest Hollywood releases and discotheques were blasting American techno music. Why is American entertainment so prevalent all around the world? Actor Matthew McConaughey said it best: “Hollywood is America’s greatest export.” America’s culture of freedom of expression, risk taking, and protection of intellectual property (IP), combined with ample venture capital and talent, creates entertainment that is the envy of the world. U.S. Entertainment companies enjoy many of the attributes we look for including high barriers to entry, libraries of valuable intellectual property (IP), recurring and non-cyclical revenues, heavy insider ownership, and high returns on capital. Conversely, media producers in other countries face censorship and even risk imprisonment for spreading certain ideas. Should they overcome the odds and succeed, they could see their valuable intellectual property (IP) copied without enforcement. With such global dominance, U.S. media stocks have delivered returns above the broader S&P 500 Index over the past 30 years and we believe these advantages will persist into the future. Entertainment delivered directly through the internet to consumers anytime, anywhere, and on any device has changed industry dynamics. Companies with unique, high-value, globally recognized content no longer need to be bundled or even released into movie theatres. Many people are now “cord cutting,” a term used for cancelling traditional cable TV subscriptions and watching TV via the internet at a fraction of the cost via streaming services like Neflix, Amazon, Hulu, and Sling TV. These streaming services are growing rapidly and using operating cash flow to spend huge amounts on their own proprietary content in the race to create a fully integrated media company. The new model of creating and delivering content globally is leading to consolidation as many players don’t have the customers, content, delivery, or technology to compete. Leaders like Netflix have created a virtuous cycle where having more customers leads to more money to spend on creating better content which leads back to bringing in more customers. Other industry players are scrambling to catch up. Disney (DIS) recently announced a deal to acquire 20th Century Fox to give it more content to start its own streaming service. AT&T is trying to buy Time Warner to leverage its large customer base by adding CNN, HBO, and Warner Brothers Studios. The only independent production studio left to acquire is Lionsgate Entertainment (LGF), a company we own and outlined in the Q2 2017 letter. Recent consolidation strongly increases their scarcity value and likelihood of being acquired. In addition to Lionsgate, we believe the following companies are best positioned to achieve superior investment results due to the trends and changes occurring in the media industry. Time Warner is one of the largest media companies in the world consisting of CNN, TNT, & TBS, Warner Brothers Studios (Batman, Superman, Looney Tunes, etc. ), and HBO. As outlined earlier in the letter, we believe the proliferation of connectivity which enables content companies to directly deliver all over the world via the internet makes premium content creators more valuable than ever. In October 2016, AT&T announced it would acquire Time Warner (TWX) for $107.50 per share. This merger helps AT&T to create an offering to deliver premium content on every screen, anywhere. On November 8th, 2017, TWX shares dropped to $87 per share on news that the U.S. Department of Justice (DOJ) was suing to block the deal on anti-trust concerns. Many experts believe the DOJ doesn’t have a strong case as no vertical merger has been taken to court since Jimmy Carter was president and that case lost. We believe this deal will be resolved shortly after the March 2018 trial and TWX shares will appreciate to $107.50 when the deal is approved, a 17% premium to the current price in roughly six months. Should the deal not go through, we believe Time Warner is worth the buyout price of $107 on its own. TWX shares currently trade at just 14.7x 2017 estimates of $6.25 per share, a 20% discount to the valuation of competitors 21st Century Fox (FOXA) and Disney (DIS). While Dish is known for its direct satellite business with 11 million subscribers, the vast majority of the value in DISH shares are in its investments in wireless spectrum. Founded and 48% owned by Charlie Ergen, a bold and patient visionary, who has taken the cash generated from the satellite business and invested $21 billion in wireless spectrum licenses in the belief that 5G high speed wireless connectivity will generate tremendous innovation value in both consumer and industrial applications. While just thought of today as high-speed wireless connectivity for cellphones, high speed wireless 5G internet could be used for all new “internet-of-things” applications like driverless cars, drone delivery and a plethora of industrial applications that don’t exist today. While it owns valuable spectrum, Dish does not have the capital to build out a full scale 5G network on its own. The clearest way to realize the value in this company is to sell to a company like Verizon (VZ) or Amazon (AMZN) or to partner and lease the spectrum. Like beachfront property, we believe Dish’s scarce and valuable spectrum operated by a successful owner with the entirety of his net worth invested alongside us creates a compelling investment. Based on recent auction values and a conservative valuation on the satellite business, we estimate the wireless spectrum, satellite business, and sling TV business (another small, but valuable business) is worth roughly $90 per share, an 83% premium to the current price. The S&P 500 and Russell 2000 Indices made new highs in the third quarter, gaining roughly 4.5% and 5.7% respectively. The gains were widely attributed to renewed optimism regarding tax reform. According to Ned Davis Research, the proposed change to a 20% corporate tax rate would lead to a 7.2% jump in after-tax earnings on the S&P 500 Index and 27% for the Russell 2000 Small Cap Index. While tax reform could lead to a short-term pop in corporate earnings, betting odds for a corporate tax reform by the end of 2017 is just 33% according to Predictit.com. Tax reform aside, we remain optimistic for our holdings going forward as we’ve accumulated a portfolio of stocks with superior management teams, strong balance sheets, niche businesses, and that trade at a discount to the market overall. Stepping back and looking at the big picture, many clients are asking why equity markets have been so strong over the past few years? Now that economic and employment levels are back to normal and interest rates have remained low for an extended period, it’s our opinion that investors have accepted the reality of low rates and bid stock prices up to commensurate valuations. You can see on the chart below that while the yields on 10-year Treasury bonds have declined and stock P/E valuations have risen, the relationship between stock and bond valuations remains on its historical trend. In other words, the seemingly high S&P 500 P/E ratio of 23x earnings is about right given 10-year Treasuries yield just 2.2%. Source: Shiller Data as of 9/30/17. 10-year Treasury Yield = 2.2%, S&P 500 E/P = 3.65%, S&P 500 P/E = 23x. While interest rate changes move markets, they are unpredictable. Our strategy for success is to select a diversified portfolio of securities that will perform well no matter what the broad market indices do. We spend each day conducting rigorous research to accomplish this goal. Last month, David, Stan, and I attended the Raymond James Bank Investor Conference where we interviewed more than 40 managements teams of community banks. Our conclusion was that we continue to be very positive for the banks and even found a few new great franchises trading near book value that we are trying to accumulate. While our bank stocks have increased significantly, our top ten bank holdings still trade at an average of 15x earnings and 1.4x book value, which is a 20% discount to peers despite our handpicking the best management teams, markets, and culture. We have found that companies that properly motivate employees, make raving fans out of their customers, and focus on shareholder return have delivered superior investment results. With the goal to take our abilities to analyze culture to the next level, we partnered with Washington University’s Olin School of Business. In conjunction with professor Anjan Thakor, one of the country’s leading experts on corporate culture, along with four master’s students, we are researching how to measure corporate culture to find and capitalize on investment opportunities. I can’t wait to share the results of our study in the future. This post is for informational purposes only and does not constitute a complete description of our investment advisory services. This post is in no way a recommendation of any security or a solicitation or offer to sell investment advisory services. Thisnewsletter should not be construed as advice to buy or sell any particular security. This post is not definitive investment advice and should not be relied on as such. It does not take into account any investors’ particular investment objectives, tax status, or investment horizon. No recommendation or advice is being given as to whether any investment or strategy is suitable for a particular investor. Any forward-looking statements speak only as of the date they are made, and Eidelman Virant Capital assumes no duty to and does not undertake to update forward-looking statements. Certain investments mentioned in this post may not have been held by clients of, or recommended by, Eidelman Virant Capital. Past performance is not indicative of future results. The S&P 500 and Russell 2000 Indices continued their ascent, gaining roughly 9.3% and 5.0% respectively through the first half of the year. Despite larger “growth” oriented stocks being the star performers (+14% vs. smaller “value” stocks +0.5%), our portfolios performed well. We benefited from continued appreciation in community bank stocks as well as mostly avoiding the carnage in energy stocks (-15%). It has been a stellar period for the global equity markets and our portfolios over the past 18 months. Looking forward, we think we have the right strategy to keep up the momentum. A key theme we will be emphasizing is the difference between our individually selected investments and the broad stock market indices like the S&P 500 and Russell 2000. While we have constructed a super portfolio of 30-40 individual investment ideas, we are not necessarily as optimistic for the broad market averages. Though market momentum remains strong, investor optimism, rising interest rates, and high stock valuations could act as a headwind for stocks. The median S&P 500 P/E valuation ratio currently stands at 24x, roughly 40% above its 50-year historical average of 17x. The VIX volatility index, often called the “fear index,” recently hit multi-decade lows, indicating investor complacency. While the above risks warrant caution for equities in the S&P 500 Index, our firm is uniquely positioned to capitalize on opportunities that are under the radar of most investors. Over the past decade, there has been a massive shift in the investment industry towards asset allocation strategies using mutual funds and passive exchange-traded funds (ETF) and away from individual stock selection. Not too long ago, most individual and institutional investors built portfolios based on their own research. Now, most advisors outsource active portfolio management or have switched to a passive approach. Passive investing involves purchasing baskets of stocks and bonds without making any “active” decisions to buy or sell individual securities. They seek to mimic an index like S&P 500 and keep costs to a minimum. Some of our clients utilize this strategy in addition to our core active investment strategies within our firm or with other money managers. The good news is that passive investing, especially in U.S. equities, has been a successful strategy. However, we believe massive recent inflows into passive strategies may reduce the effectiveness of such strategies going forward. In the following letter, I will outline this “Passive Problem” as well as our “Active Solution” and finish with two of our latest and favorite investment ideas. I hope readers will appreciate the challenges presented by the proliferation of passive ETFs for all investors as well as gain confidence in our plan to navigate our way to superior investment results. We are passionate about investing. We love meeting with companies and trying to uncover the winners of tomorrow. Our company owners, including David Eidelman, John Virant, John Virant Jr., and myself, have the vast majority of our personal net worth invested in the same securities as our clients. While there are many successful investment strategies, we are confident that our repeatable approach to investing in companies with great management cultures, strong competitive positions, low-debt balance sheets, properly aligned incentives, and attractive valuations gives us all the best opportunity to grow wealth over the long run. Passive investing was a revolutionary idea. Instead of trying to “actively” pick winners from the equity universe, “passive” investors purchase a market-weighted amount of most publicly traded stocks and hold for the long run. This strategy provides wide diversification at a very low cost. Such strategies are best exemplified by Vanguard and iShares exchange traded funds (ETFs). These passive ETFs have provided huge benefits to society by giving wide access to low-cost, diversified investment portfolios. Passive ETF investing has gone mainstream. According to CNBC, passively managed U.S. equity funds now hold $3.1 trillion in assets while their active counterparts hold $3.6 trillion. In 2016 alone, a record $250 billion moved from active to passive funds. So what’s the problem with more assets in passive ETFs? With more money flowing from active to passive funds, stocks are becoming less efficiently priced. Assets are being taken from funds who conduct detailed competitive and valuation analysis to funds that indiscriminately buy stocks with more liquidity and market capitalization. Given this phenomenon, it’s no surprise that the five largest stocks in the S&P 500 (Apple, Google, Microsoft, Amazon, and Facebook) were up an average of 23% while the S&P 500 equal weighted index was up only 8% in the first half of this year. Any new asset inflows into a U.S. equity passive ETF is now putting 13% of assets in those five companies which trade at an average PE ratio of 30x earnings, 25% higher than the median S&P 500 stock. The median P/E ratio of the S&P 500 Index itself stands roughly 40% above the 50-year historical average of 17x. Passive ETFs do not take Price/Earnings ratios and other valuation metrics into account. They invest in the desired asset at any price. One of the biggest benefits of passive ETF investing is diversification. However, the real power of diversification comes from holding non-correlated assets. A classic example is owning an energy stock and an airline stock. High oil prices are good for the energy companies (they sell oil) and bad for airlines (they buy oil in the form of jet fuel). If both have an expected return of 25% if oil prices go their way or a 10% decline if oil goes against them, you could mitigate this risk by just buying both stocks and be assured a 7.5% return with less risk (25% + -10% / 2 = 7.5%). Correlations among stocks within the S&P 500 have increased from roughly .40 to .60 over the past 8 years with 1.0 being perfectly correlated. Since 1998, the correlation of the S&P 500 to other asset classes (intl equities, bonds, commodities, etc.) has gone from zero to highs above .50. See Chart A below. We are seeing that anything that can be indexed is getting more correlated thus increasing the risk to ETF investors. Note: Average of 60-Month Correlation of Monthly Changes in the S&P 500 with the Monthly Changes of: MSCI EAFE Index, MSCI Emerging Markets Index (starting 12/31/92), CRB Index, Spot Gold, Copper Futures (starting 1984), 10-Yr T-Bond Yield, 3-Mo. T-Bill Yield, Euro. While passive U.S. equity investing has provided outstanding returns over the last eight years, past performance may not be indicative of future returns. With high asset valuations potentially muting returns and rising correlations among assets potentially increasing risk, we think a more “active” solution is the best way to maximize wealth in the coming years. About ten years ago, my wife and I were having an extremely difficult time finding her a new apartment in Philadelphia. We walked into our final showing along with the agent and two other apartment-seeking, college-aged women. The location was fantastic and the apartment was updated, beautiful, and 30% cheaper than similar apartments. After walking through, all five of us simultaneously looked out the window to see an enormous cemetery. The two college-aged women quickly shrieked “Creepy… no way!” and walked out. My wife and I looked at each other, shrugged, and said we’d take it. The apartment was terrific and we never had any problems with our neighbors. ETFs need holdings with sufficient trading volume to handle large daily inflows and outflows. Examples of companies consequently shunned by ETFs are owner-operator companies with large insider ownership, micro-cap companies, and small issues of special situation securities. Who cares about these small orphan securities that represent under 2% of the world’s equity market capitalization? We do! They are our treasure. Owner-operated companies with large insider ownership can be some of the most desired investments. Over the past twenty years, such companies have compounded at 11% versus 8% for S&P 500. Owner-operator incentives are perfectly aligned with our interests to maximize long-term value as opposed to short-term compensation, making acquisitions, or hitting short-term earnings forecasts. Micro-cap stocks are another investment that have delivered superior investment returns over time. From 1992-2016, the Dow Jones Micro Cap Index has compounded at 11.5% vs the S&P 500 of 9.1%. 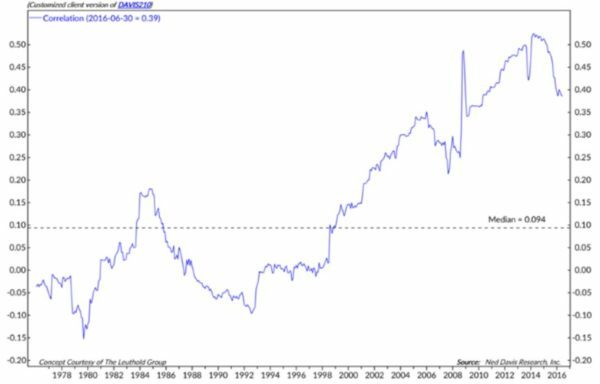 Micro-caps have also outperformed large-caps 98% of the time for rolling 20-year periods going back to 1926. We believe this outperformance is due to lower valuations, acquisitions, higher growth, leaner operations, and nimbleness to respond to changing market dynamics. Due to inefficiencies and low analyst coverage of micro-caps, studies have shown that active managers also have delivered more outperformance (alpha) in the micro-cap universe. In addition to potentially offering superior returns, a portfolio of stocks falling outside the ETF divide may be less risky than many ETFs. They may experience lower volatility due to being outside of major fund flows. They will likely provide valuable diversification benefits due to their low correlation to other assets. Lastly, shareholder friendly management could implement buybacks or an outright sale of such companies should their stock prices fall below their intrinsic value. As flexible, all-cap fundamental investors, we are ideally positioned to capitalize on such market opportunities. While I have focused this letter on the topic of insider ownership, micro-cap stocks, and the ETF divide, these are only a few of the many factors we consider in our arduous investment process. We also focus on strong management, energized corporate cultures, low-debt balance sheets, niche market positions, and issues that trade at attractive valuations. Such companies are not found at the top of the ETF holdings list. It takes painstaking work, but nothing excites us more than uncovering a winner. While the majority of investment dollars continue flowing into passive asset allocation ETF strategies at a time when U.S. equity valuations and correlations are near all-time highs, we believe our firm is uniquely positioned to capitalize on opportunities that are under the radar and of most investors. We think such a strategy puts our clients on the best path to both minimize risk and maximize investment returns into the future. Atento is the #1 provider of call centers in Latin America with roughly 50% of their business coming from Brazil. They were ranked five years in a row on the list of “World’s Best Multinational Workplaces.” They have a 99.5% retention rate of clients and 90%+ customer satisfaction rates. The company was spun out of Telefonica in 2012, but now has over 150,000 employees and 400+ clients where they provide outsourced customer service, sales, technical support, for telecommunications, financial, and other industries. 95% of their business is local to local as there is no cheaper place to outsource that speaks Portuguese. On the surface, the company appears just fairly valued at 17x earnings; however, earnings are temporarily depressed as Brazil has been in the midst of a great recession and is set to rebound. The industry is growing high single digits and ATTOs margins are improving as they provide more value-adding “BPO” services to their clients. With this growth and paying down debt, we think ATTO can grow earnings in excess of 25% over time. We sat down with ATTO’s CEO Alejandro Reynal Ample and his management team at our office back in May and were extremely impressed with their ability to build a high performance corporate culture to carry out their strategy and ultimately improve profitability. Bain Capital private equity currently owns 85% of the company as well as management owning another 1.5% leaving very little float currently. When this company is eventually sold either outright or in a secondary offering, we believe the company will be worth 15x it’s 2019 EPS estimate or $15 per share, a 50% premium to the current price. Lionsgate (LGF) is the combination of the Lionsgate movie and TV studios and the Starz channel. Lionsgate is best known for making such movies as the Hunger Games, Twilight Saga, and La La Land as well as hit TV shows Mad Men and Orange is the New Black. LGF controls a library of 16,000 movies and TV titles. LGF’s library is one of the last remaining vaults of valuable intellectual property in a world where content is scarce and cash-rich companies like Amazon, and Netflix are battling old media for subscribers. LGF presents an attractive takeover target for a variety of larger media and telecom companies. LGF management is both capable and incentivized to maximize shareholder value. LGF’s management and board own 30% of the shares including John Malone, one of the most successful media and telecom investors in history, owns $300m in stock, or 6% of the company. Given LGFs’ knowhow of making great content, stable licensing business, and irreplaceable intellectual property, we think LGF shares should trade at 15x 2019 free cash flow estimates of $2.50, or roughly $37 per share, a 42% premium to the current price. We think the recent market strength has very little to do with Trump and more to do with the continued global economic recovery and relative valuation of stocks compared to fixed income. Consumer confidence and business optimism surveys recently hit 16-year highs and international growth continues to improve. Even though the Federal Reserve Board has indicated its expectations for short-term interest rates to revert back up toward 3% over the next few years, markets are skeptical and 10-year U.S. Treasury bonds yield just 2.3%. With such low potential returns from the fixed income market, U.S. stocks appear more attractive on a long-term basis given their net payout yield of 4% (dividends plus net stock buybacks) plus potential growth. While attractive relative valuations to bonds and positive momentum bode well for the market over the near term, we believe some caution is warranted. Absolute stock valuations are at historically high levels, investor sentiment remains overly optimistic, and insider selling levels remain elevated. All of these factors have historically acted as headwinds and could imply modest future market returns. Fortunately, we feel we are still able to find good individual investment opportunities that offer attractive prospective returns while minimizing risk. What matters most for our client’s portfolios is our ability to find 30-40 investment ideas that meet our strict criteria of having exceptional management, low debt levels, durable competitive advantages, and trade at a price that we think offers an attractive return. If we can do this, we feel our clients’ portfolios can perform well even if the broader markets face challenges. Last month, David and I went to the Seaport Global Industrial Conference in Miami and each sat down with the management team of fifteen different companies over two days. We interviewed management teams on their management culture, incentives, competitive advantages, market outlook, balance sheet, and many other factors. We were struck by how outstanding many these companies were in their respective markets. We met with the country’s largest maker of hardhats, snow plows, aerial platforms, auto seats, wood flooring, and commercial kitchen equipment. In many cases, these companies met all of our criteria except for price, so they will be added to our bench list. We will follow them and wait for the right opportunity to buy when the risk/reward is stacked heavily in our favor. We remain fully invested in a portfolio of securities that meet our criteria of outstanding management, low debt levels, niche competitive positions, and trade at low valuation levels. We remain optimistic that such a portfolio gives us the best chance to continue to achieve superior returns in the future. In firm related news, I’m thrilled to announce that we have recently hired Matt Lederman as our new Director of Business Development & Investor Relations. His primary responsibility will be to develop new business opportunities in addition to managing investor relationships. Prior to joining Eidelman Virant, Matt was responsible for marketing and consultant relations at New York-based Pinnacle Asset Management. Prior to Pinnacle, Matt held various sales and marketing positions with Alternative Access Capital, Bank of America, and Merrill Lynch. Matt received his B.S. from Vanderbilt University and his M.B.A. from Washington University in St. Louis. We look forward to introducing Matt to all of our current and prospective clients. After one of the worst starts in history, the S&P 500 rallied to end the year up 11.9% in 2016. Stocks jumped after the election on the expectation that President-elect Donald Trump will quickly enact a growth-oriented economic agenda, including tax cuts, regulatory relief, and economic stimulus. Some investors believe these policies will result in profound economic shifts that could ignite animal spirits, attract productive capital, and send the economy and stock market much higher for years to come. While upward market momentum is an encouraging signal for a strong market in 2017, we believe some caution is warranted. According to Investors Intelligence, 60.2% of investors are bullish versus only 18.4% bearish, a historically challenging level of enthusiasm. Such optimism has sent median P/E valuations to 23x, roughly 35% above the 50-year average. Lastly, according to InsiderScore, corporate insiders intensified their selling of stocks, particularly in the banking sector where more than 700 insiders sold roughly $1.5 billion worth of stock in the fourth quarter alone. In such an environment, we think investing in special situation opportunities and companies with outstanding management teams will be particularly important to generating good returns going forward. We have been taking profits and selling down many of our core bank holdings including QCRH Holdings (QCRH), Pacific Premier Bank (PPBI), Horizon Bancorp (HBNC), and Agriculture Mortgage (AGM). All of these companies have great management teams, used their competitive advantage to grow EPS and book value at 10%+, and were purchased below tangible book value. We love these companies, but now have the high-class problem of having to sell them due to their share prices rising above fair value and in some cases above the price which management has told us they would sell the whole company. We still find the banking industry attractive, particularly in view of potential deregulation, lower taxes, economic stimulus, and rising interest rates. It has just gotten harder to find stellar banks at a price that gives us upside potential as well as downside protection. Fortunately, we still hold many banks and are even buying a couple more that meet such criteria. We’re confident such banks will deliver attractive returns going forward. We are laser focused on achieving great returns in 2017 and we have deep list of exciting new investment ideas. Along with “special situation” investment ideas like the Brookfield DTLA I will outline on the next page, a common theme you hear from us relates to investing in companies with great management teams who promote outstanding corporate cultures. World class cultures emphasize motivating and rewarding employees, exceeding customer expectations, and generating industry leading value for shareholders. On the next page, I have outlined the rationale for a few of our new investments. We are excited about these opportunities and the many more to come in your portfolios. Thank you for business and confidence and we look forward to a great 2017. Allergan (AGN) is a leading pharmaceutical company whose blockbuster drugs include Botox and Restasis, a treatment for dry eye. AGN received a buyout offer from Pfizer valued at $360 share back in October, 2015, but shares collapsed below $200 per share when regulatory changes deterring tax inversions forced Pfizer to walk away from the deal. The future is still very bright for Allergan. In November 2016, CEO Brent Saunders bought over $1 million of AGN stock personally and AGN trades at just 13.9x forward earnings, a discount to the healthcare sector and S&P 500 despite its strong management, drug pipeline, and double-digit earnings growth prospects. At a healthcare industry average multiple of 16x ‘18 non-gaap EPS estimates of $18.20 per share, AGN shares would be worth $300 per share, a 43% premium to the current price. First Solar (FSLR) is a leading provider of solar energy solutions. It makes Photovoltaic (PV) solar modules and systems as well as provides maintenance services to utilities and independent power producers. The dramatic sell-off in the company’s shares seems to be concern over the financial impact of excess supply in the market. While most analysts expect the overcapacity to last through 2017, we think the future looks bright with worldwide solar capacity estimated to increase between 10-20% for the foreseeable future. We love FSLR’s technological advantage, which allows its products to outperform in extraordinary hot and humid climates. With $1.6 billion of net cash and no debt, we think FSLR will ride out the overcapacity storm, emerge stronger, and ultimately return to its former levels of profitability. While FSLR will be just be marginally profitable in 2017, it has earned between $3.50 and $5.50 per share in EPS the last few years and trades at a significant discount to tangible book value of $56/share. We think FSLR should be worth at least tangible book value of $56, a 75% premium to the current price. Brookfield DTLA preferred is a preferred stock of a company with commercial real estate assets in downtown Los Angeles. DTLA used to be called MPG Office Trust preferred. DTLA has a par value of $25 per share with a 7.625% coupon or a dividend of $1.90 per share. MPG Office Trust got into financial trouble in January 2009 and stopped paying dividends and started accruing the interest to be paid out later when it was capable. 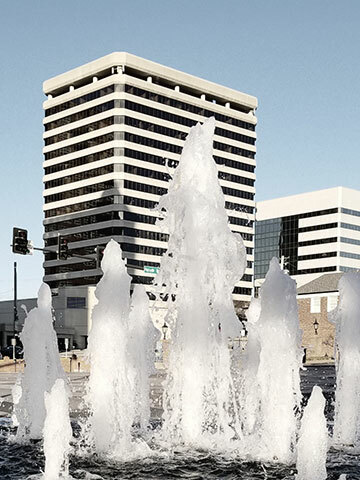 In 2013, Brookfield Office Properties, a stronger real estate conglomerate, acquired MPG Office Trust. While we thought this acquisition would result in the immediate redemption of this security at par plus back interest, it turned out Brookfield didn’t need to immediately redeem it as it was still inadequately secured by the value of the underlying downtown Los Angeles commercial real estate. A lawsuit was filed and settled for $2.25 per share, but in his sworn affidavit in 2015, Mark Brown of Brookfield stated “it is highly likely that Brookfield DTLA will begin paying the accrued and unpaid dividends on the preferred stock within the next eight years” and later said that is a “conservative” estimate and “not unrealistic” that they would pay sooner. Since then, downtown Los Angeles commercial property values have increased substantially and Brookfield Office Properties marked up these properties on their balance sheet. With a cumulative value of roughly $38 per share, we think DTLA preferred shares could appreciate 72% when Brookfield Office Properties redeems the DTLA preferred plus accumulate an additional 7.6% annual coupon while we wait.